A cosy welcoming free standing flatlet in leafy centrally situated suburb of Pinelands, 13kms from Cape Town International airport and 10kms to City Centre/Waterfront. Secure off-street parking and access to secluded garden. There are 2 golf courses in close proximity. The flatlet is suitable for 1 x couple or a single person. 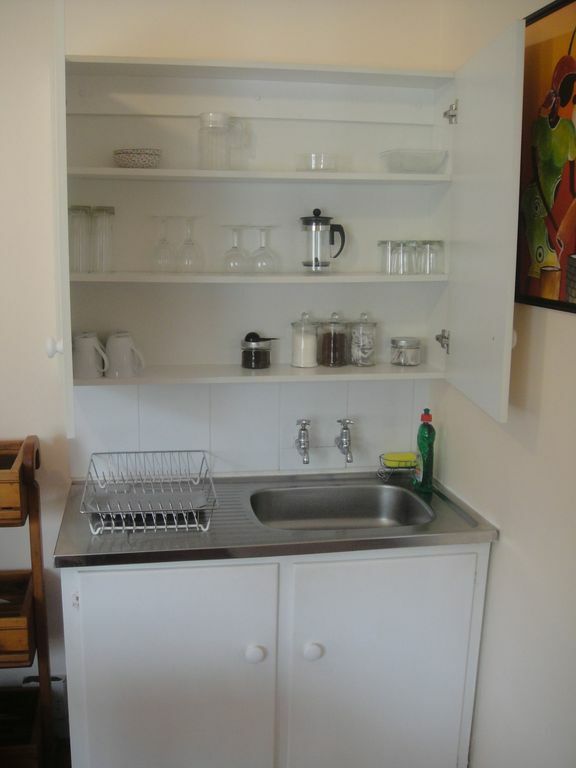 The flatlet has DSTV and WIFI and you will find the cottage equipped with tea, coffee, sugar, milk. We are close to two shopping centres.